After the initial success of her 2012 album, the eponymous Melody’s Echo Chamber, (produced by Tame Impala’s Kevin Parker) Melody Prochet disappeared from the music industry for a while, suffering a traumatic incident that would leave her too unwell to produce or tour for a long period of time. Bon Voyage, a deliciously eclectic seven-track comeback album (released June 15, 2018 via Fat Possum), was born out of her subsequent move to suburban Stockholm from the bustle of Paris and her recovery to health. From its carefully honed visual and musical aesthetic, perhaps best described as groovy-psychedelia meets alternative rock, the gorgeous pink cover art of the album seems to glow with a dream-like sheen, the whole album an invention of Prochet’s wild imagination. The opening lyrics of the album in track “Cross My Heart” seem to summarize the project for Prochet, who is in essence contemplating her place in the world and supposedly the recent events in her life. It is a journey of self-reflection and personal realization that we are invited to join her on. Bon Voyage feels in many ways like a masterclass on experimental instrumentation with Prochet, a viola player herself, making use of everything from jazz flute and synths to a sweeping string section and funk bass lines. A stark contrast with “Cross My Heart,” the second song on the album “Breathe In, Breathe Out” rattles off with typical alternative-rock jangly guitars and even includes some punky screams and whistled tunes later on in the track. This makes for a fun juxtapose with her smooth vocals which almost seem to come from a different place entirely, ethereal and floating but totally defiant as she discusses inner torment. Conversely, “Var Har Du Vart” almost has the air of a folk song sung around a camp fire with its simple guitar and vocals arrangement. Sitting in the middle of the album it feels far removed from the experimental nature of the rest of the tracks and instead gives the impression of a brief interlude or musical palate cleanser. Its use of Swedish lyrics and rustic simplicity are a nice nod to her newfound home and seem to be an inspired curation of Prochet’s new surroundings. The penultimate song on the album, “Visions of Someone Special, On a Wall of Reflections” is the tantalizing high point of Bon Voyage. With its shimmering background vocals, snake charmer-esque riffs and sweeping synth chords, Prochet moves through various musical transitions with ease creating a dreamy, unearthly soundscape. Lyrics that allude to vampires, werewolves and sirens indicate her struggles with an inner world, working in conjunction with her eerie choice of chords which increasingly give the track a sense of emotional tension. 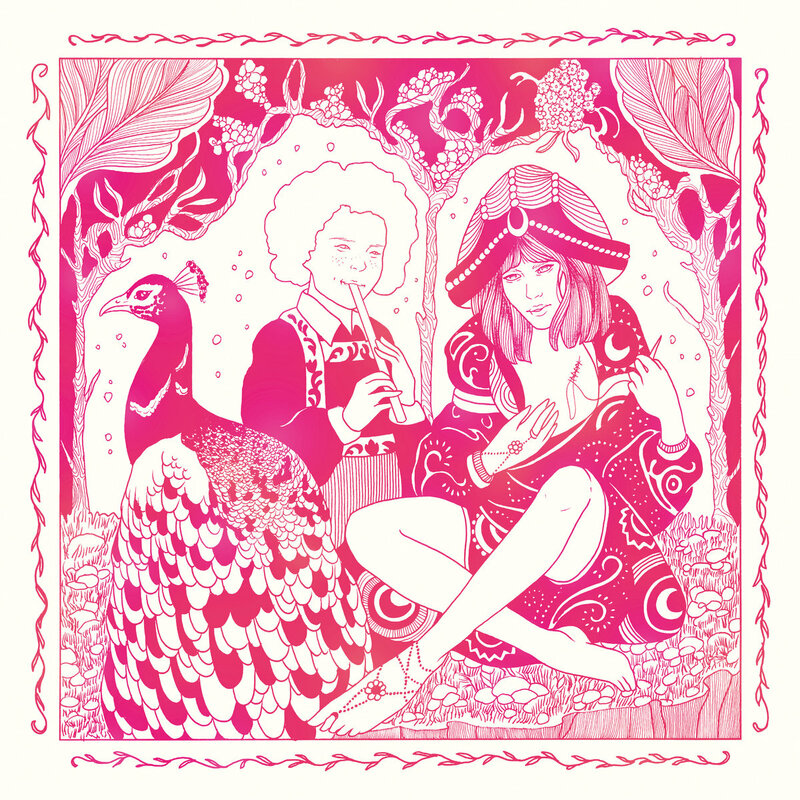 Melody’s Echo Chamber’s Bon Voyage is ultimately an impressive and important album. It documents a very human struggle conveyed through the complex nature of musical dreamscapes and psychedelic inflections. 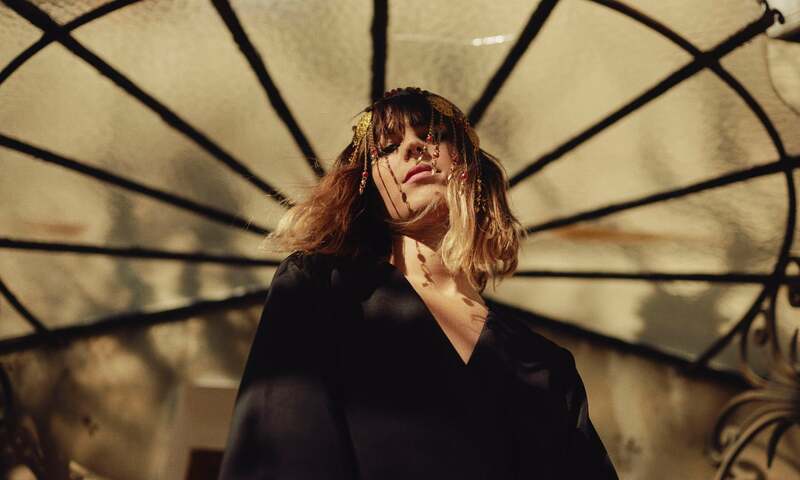 Although externally the album is full of some good chill out music and fun, dance tracks, one need only delve a little under the surface to uncover the astonishing emotional depths being explored and the brilliant musicianship of Melody’s Echo Chamber. Hermione is a twenty-something year old student, currently reading Music at Cambridge University where she is also President of the main University Orchestra. Having grown up surrounded by Music spending her early years backstage of theatres, she has maintained a lifelong passion for live music and discovering new, exciting Artists. Having studied classical Violin since her early years, Hermione has always been involved in musical performance and has an eclectic taste ranging from post-punk to experimental classical music. Hoping to pursue a career in A&R and music journalism, Hermione is always on the lookout for music that is interesting, fresh and a bit wacky!